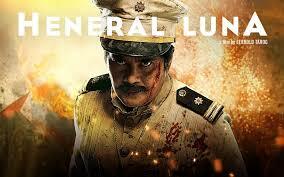 The historical biopic film Heneral Luna is a masterpiece that resembles the current state of Philippine national security. Terrorization on the inadequacy of National Security Strategy has paralyzed Asia’s First Republic, defacing the ‘should-be’ strengths of strong institutions, organization, leadership, doctrines, strategic culture and military capability against an emerging superpower, the Unites States, during the twentieth century. For sure, the ghost of the past still lingers in our present weak defense posture against a rising ‘other’ superpower, China, in the twenty-first century. Everyone from the defense and security sector must watch this intelligent narrative, coated with cinematic license by a versatile filmmaker Jerrold Tarog, to witness Antonio Luna’s suggested military strategy on guerilla warfare that influenced rogue states like Cuba and Vietnam in their struggle for independence against bullies and colonizers. Poor strategic culture emanates from weak leadership and organization corrupted by greed, self-interest, lack of vision, and citizens’ bogus nationalism and fake patriotism of many political elites. In the same manner, the sins of our forefather, the scheming opportunist, General Emilio Aguinaldo, whose formidable statue stands still in a sprawling military camp in Quezon City, the largest city within Metro Manila named after his political successor as president, alleged by historians as the person liable for the murder and political butchery of Andres Bonifacio and Antonio Luna, should be demystified. Aguinaldo's follies and tendencies to heinous crimes, nascent dictatorial streak, and engagement in political mudslinging are demerits in demoting him in history. He should be stripped of his title as the first president of the Republic; but instead, the great plebian, Supremo Andres Bonifacio should be elevated to where he is rightfully placed in our historical consciousness. At the same time, Camp General Emilio Aguinaldo should be renamed as Camp General Antonio Luna in reverence to a mad genius and grand strategist that have drawn the attention of American military thinkers based from their first-hand accounts tagging him our greatest general during the Philippines-American War which took more lives of American soldiers than during the American-Spanish War. The centuries-old regionalistic character of Filipinos, keenly shown in the film, still presently manifested on how we nurture our political culture during elections and appointments of national leaders in every administration, shows our immaturity and shallow governance that impedes our growth to achieve our elusive ‘national identity’. Pluralism is healthy in any society, regardless of ethnicity, political principles, and economic class. However, patriotism and cohesiveness as a nation-state should never be compromised based from one’s own status, rank or position. The national security threats on poor governance, poverty, graft and corruption, greed and grievance, and oligarchy are peripheral issues profound in the Heneral Luna film. It exposes our genetic and protracted weaknesses as Filipinos that are ‘uncured’ and ‘unhealed’ despite creative prescriptions to ‘cure and heal’ our society’s conscience using Jose Rizal’s revolutionary novels or today’s numerous well-crafted laws. Our best talents as great people in this part of the world, oftentimes, cause us to stumble over and over again because the enemy is within our own self, reiterated by Renaissance man General Antonio Luna whose commanding presence, credible defense leadership by walking the talk, and cognition of poetry, weaved his colorful life and career as uniformed officer of his time. Furthermore, nurtured unrighteous Filipino values and ethics vivid in the film are continuously practiced intergenarationally by many of us have become a vicious cycle in our political and societal systems. The ghost of weak implementation and enforcement of laws embedded in Filipino culture are footprints of our ancestors even before the time of General Luna that strums his bewilderment and insanity that still haunt us. In his sane and rightful perspective, no one should be above the law even if one holds the highest position in the land. A simple anecdote of ‘with great power comes great responsibility’. In realistic parlance, leadership by example means that no one is indispensable above the law, and that culture of impunity should be halted. In my paper on the Anthropology of National Security, I deem that to achieve a robust national security, Filipinos must acquire a culture of respected national character and national morale that are fundamental to metaphysically build an infrastructure to nationhood propounded by our great ancestors. This vision which was adequately foreseen by revolutionary generals in our history is slowly laying a golden map to fortify our socio-cultural imaginings away from persistent colonial mentality. This vision of greatness must be executed in a grand manner based on the vintage designs of our great ancestors to generally inculcate sense of pride of Filipinos today and tomorrow.